Premium class APP QUARTZ Clear Top Coat is a quick drying two-component acrylic based top coat of 420 grade, purposed for repairs of car body top coat that complies with regulations on VOC. 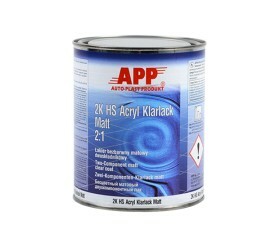 APP QUARTZ Clear Top Coat features with very good flow and levelling properties. 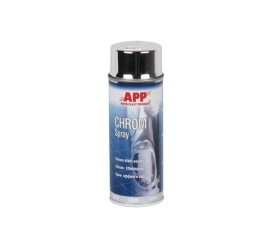 Using this product you can quickly make repairs and replace an original top coat. High contents of solids ensures high gloss of top coat upon hardening and high transparency. APP QUARTZ shall be applied in 2:1 ratio with Standard Q3010 or Q3011 Quick Hardener.Perfect hardening and easy application ensure time savings of spray booth operation and reduces product consumption. 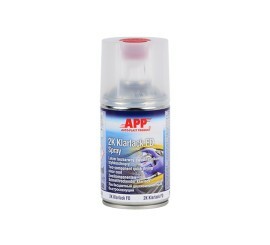 APP QUARTZ Clear Top Coat is resistant to weather conditions of different climatic zone. UV filters ensure additionally fastness of base coat colour. It is dedicated for use with traditional and water-thinnable base coats, as well as repairs of car body parts.